There are 107 posts in this topic. You are on page 1 of 3. I am in on this little beauty for sure. 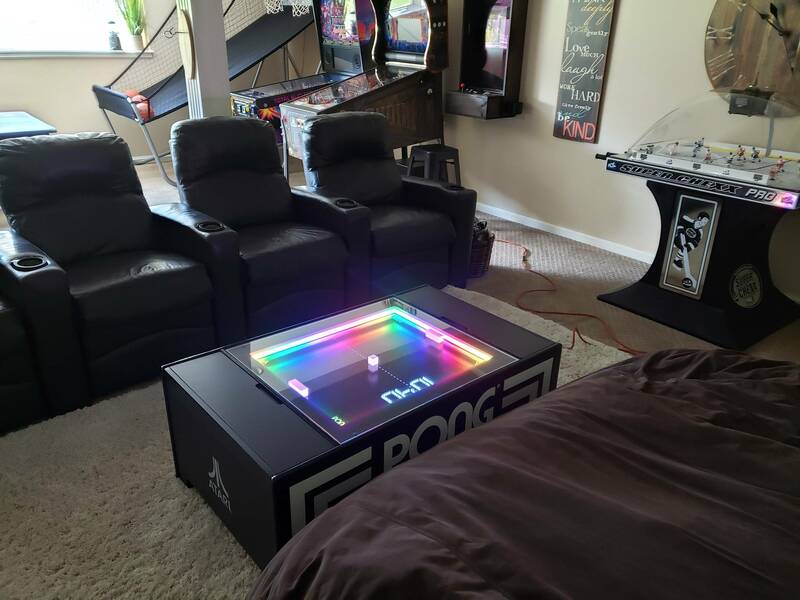 This will be the best coffee table ever!!! I spent a while playing this at Pinfest. There are few things in life these days that truly "wow" me (or anyone else for that matter), but this was honestly one of them. It felt like magic, and it was an absolute blast to play. 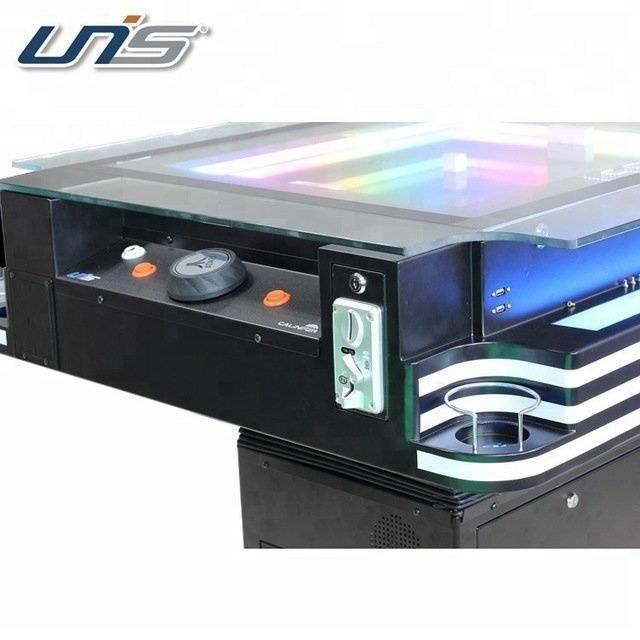 I played this table at the Amusement Expo in Vegas last January. It must have been a prototype because it geometry and physics were not working correctly, the seating height was very wrong and it just didn't work - wasn't fun and left us scratching our heads. It was like a piece of foam on a magnet, it moved sluggishly/jerky and really didn't match control knob movement. $2999.00 is what was talked about. The table that have been at the show are prototypes. The table has had improved from TPF to the show in Allentown. It is really fun. Has info if you call ask for Mike..
Are these coin op or free play only? I’m in - called Automated a few weeks ago. Can’t wait to add this game to the collection! 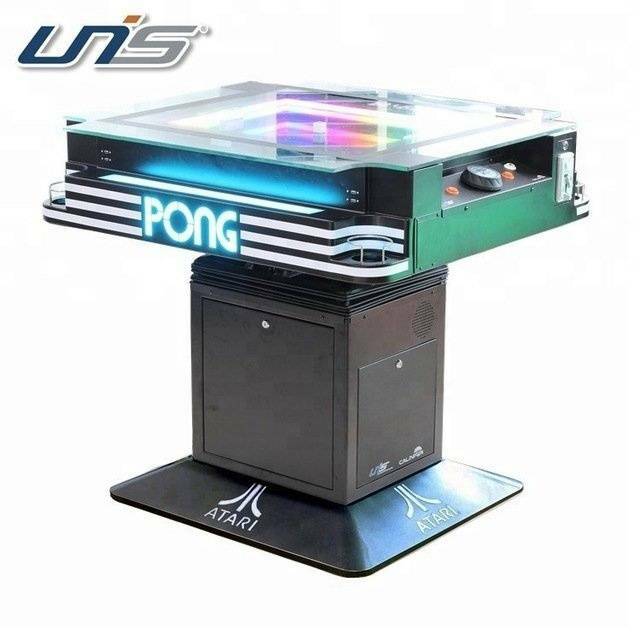 While a cool throwback novelty, $3k for Pong seems insane. Currently only free play but I heard there will be a coin op version on the way with some changes to height / design to make it more bar friendly. I played at mgc and put a deposit in instantly. Does the little puck speed up or is it just one speed? I played it at MGC too and it was a blast. I'm not a buyer but it really is a neat and refreshing product. Can anybody provide details on how it works? I’m really interested in these and have been wanting to purchase one for a while now, but haven’t yet heard much feedback from those who have played them. Interesting comments above - anyone else seen one in person? They have been at a few shows now and more to come, search youtube by most recent and you can find tons of various videos of it in action if you aren't able to play one. 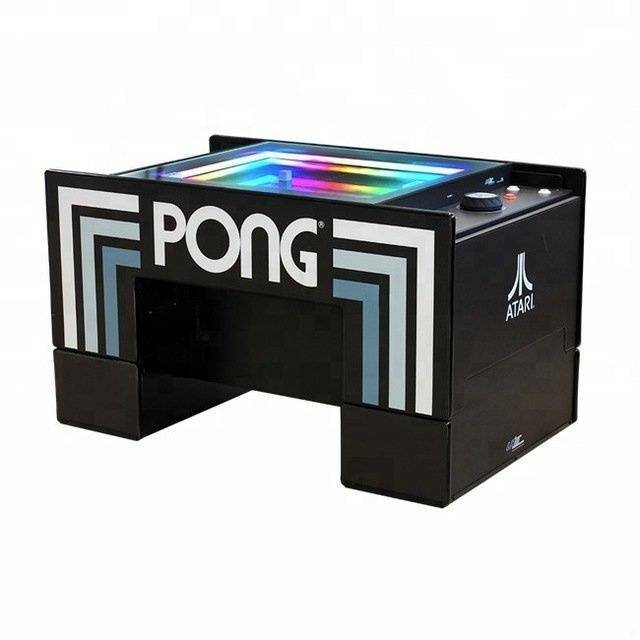 Looks like this was a kickstarter at first, https://www.kickstarter.com/projects/1461917284/play-atari-pong-in-your-coffee-table . It was much cheaper than 3k originally or Automated is jacking the price way up. Looks like the company is way behind on delivering according to the kickstarter comments. Having the four USB charging ports is nice. Shame they didn't do that with the modern Pac-Man tabletops. Played it @texaspinballfestival and @pinfest it is a great game. Lots of people playing it and having a good time. I don’t think it was idle once during both shows. Last i heard from them was a month or so ago. Said they were aiming to start shipping in May-June. Originally they had said Feb-March, i think. Not that much of a delay, but i was one of the later ones in for the kickstarter so maybe that has something to do with it. Glad to hear people are liking it though. It definitely speeds up. You can also add “English” to the puck by twisting the knob when the puck hits the paddle. I was in on the kickstarter as well. I'm excited to finally get it whenever it comes. Awesome lingering shots like these are why I always tune in to TNT vids! 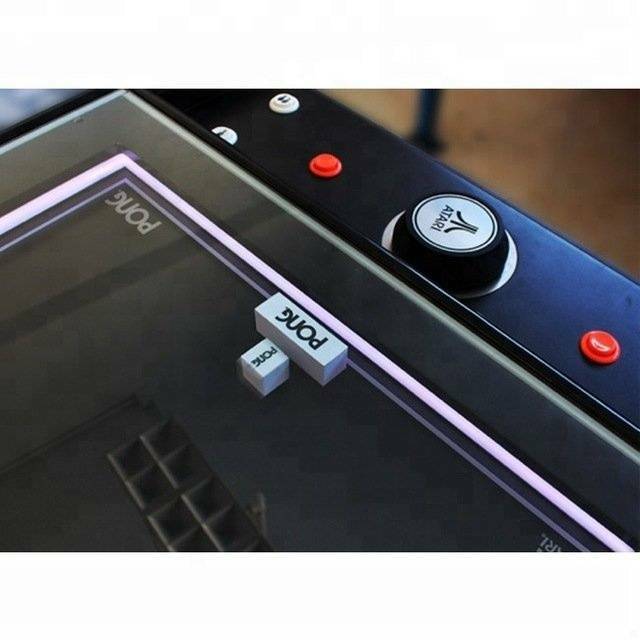 Played this at Pinfest - definitely was cool to see in person. Played it last weekend. It was a lot harder than you would think. I think someone said it can set to different difficulty levels. Neat/fun game. I would think that for that price you would at least get "Super Pong". That one had four games. 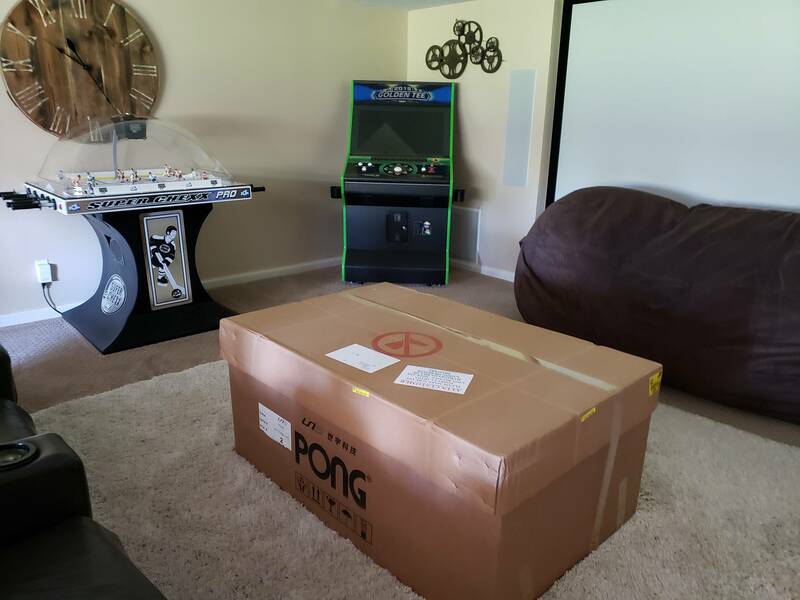 One game will get boring down the road for the home owner IMO, so hopefully their "Pong" game could be upgraded in the future for more games to be added. I remember the pricing when these were new at "Pay N Save" stores, long gone now. $30.00 for "Pong" and $60.00 for "Super Pong", which I bought. Of course these were just the units themselves and not a whole coffee table. You understand this thing is some kind of mechanical and electronic wonder, right? Can't really compare it to the flood of cheap home Pong clones that came out in the 70s. I mean it does have bluetooth speakers, single player mode etc. True, just saying that one game for $3000.00 that does the same thing the video version did is a bit pricey and will get boring pretty quickly with the home owner, not the guests, just my 2 cents. have the option for either. I did the kickstarter for it and ordered mine with the coin option to put out in locations. The original Pong sold for $1,095 in 1972 dollars, so that would be $12,113 in 2018 dollars. I did the kickstarter for it and ordered mine with the coin option to put out in locations. I'm sure these will be very profitable on route for quite a while, especially in arcades and bars. Definitely for an Operator, especially comparing to the price of a new pinball machine, in which these things will take in more money overall for a while IMO. I would like to get one; however, I've never played one (and unlikely that I would be able to), so I am stuck with video and first-person accounts. My concern from watching videos is the lag. You used to be able to spin that control and it would zip the paddle from one side to the other. It doesn't seem to be nearly as responsive as that. How does it stack up to the original pong game in terms of responsiveness? I put my deposit in for the home version this past Monday. The person I'm dealing with is not very responsive and I sent her a WTF email this morning. At $699 I'd be in for one of these. Kickstarter says "Expected retail $1690". I'd buy one today @ $1700. @ $3k I'm putting that money towards something I want more. I was in on the kickstarter at 1k. 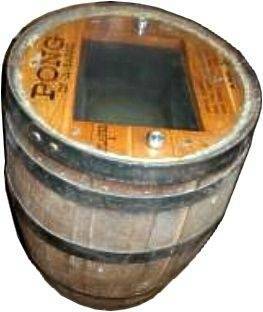 I'll hold out for the "Pong in a Barrel " LE. The two I played, you really had to try and spin that thing to get it to the other side. It did feel a little off, like the gear ratio from spinner to puck was not right. Did you use automated services ? Played it a few times at TPF and thought it was fun. IIRC the difficulty could be changed so it played faster. I think the speed of the motors prevent you from zipping the paddles back and forth like the original video game but I thought they were plenty responsive enough to get to the "ball", even at the faster setting. Control felt good. I didn't notice a lag like you get on the flippers of most virtual pinball games. Wish I had known about the kick starter. No. I called the general manager of distribution because I was in on the pre-order price and they overlooked me. After we chatted he referred me to their authorised distributor that was geographical closest to me and copied them with an email about my deal. A company called, Snag a Game in Houston. "The factory has not yet started production. Trust me, I am asking daily! Therefore, I really feel that it will be July (earliest) that I willhave product in my Dallas warehouse. I can ship from there to you in Colorado. I will keep you posted. I will have an update in a couple of weeks. I don't disagree with your point, but I'm not quite sure how you'd engineer Super Pong. The paddles are on the Y axes. The puck runs along both the X and Y axes, between the two paddles. I'm not quite sure how you could have these two cross, as they would need to do for Super Pong. I'm sure it's possible, but it would be very complicated. A great innovation, but the controls look very laggy and the price seems about double what would be reasonable. I wouldn't buy this one, but maybe the next iteration. While I agree that the price may be a bit much, the controls felt good when I sat down at it.